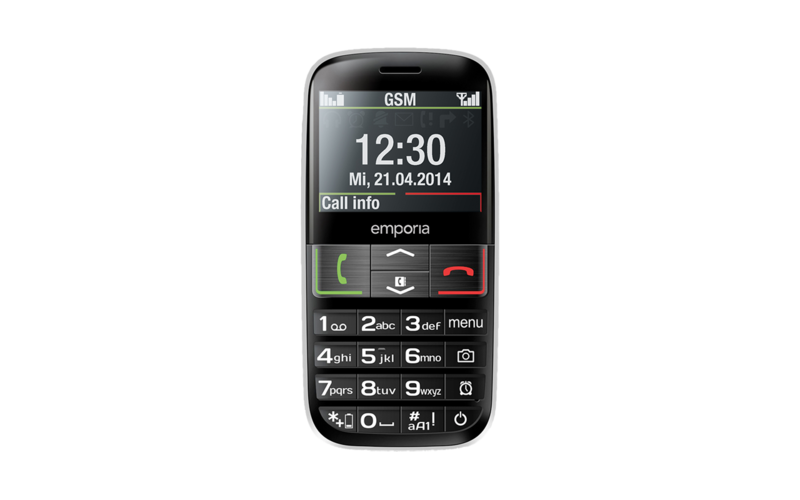 The emporiaEUPHORIA is a senior citizen’s phone in the classical „bar design“. Functionality and accessibility come first, without neglecting design. Large number buttons and function buttons for camera and alarm clock make the handling unmistakable and safe. A large format display with a special, contrast-strong font guarantee best readability. The emergency button is located at the back of the phone. Together with operating elements for the volume and a flashlight, both at the side, they round off the perfect ease of use. As all emporia phone, the EUPHORIA also offers a maximum compatibility with hearing aids to avoid back coupling and background noises.